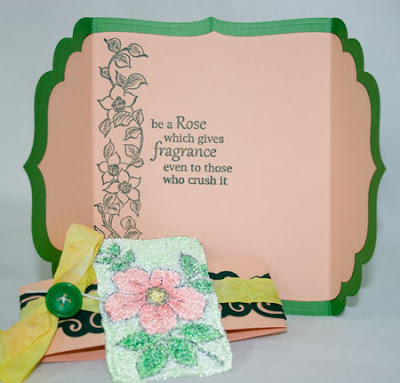 I picked out some peach cardstock that matched the rose and die cut the next smaller die for the inside and stamped the border and sentiment with green dye ink. 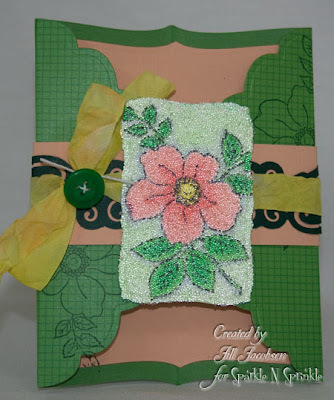 The belly band was made with the same peach cardstock cut to 11 x 1 1/2 and then a green layer of border punch. 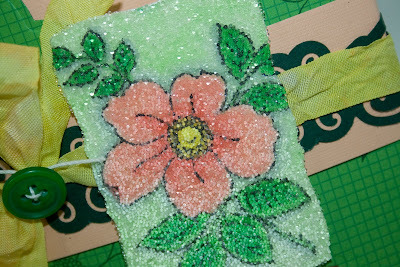 The seam binding was dyed with Smootch Spritz and Copic Various Inks...it's shimmery IRL. If you want to see the full directions you can see them here.